Have yourself a merry little Christmas with Good Housekeeping, whose legendary festive issue is sure to delight and inspire. Sent to every subscriber who is signed up by October 30, the December magazine will be packed with everything you need to have your best celebration yet. From Christmas decoration inspiration - who doesn’t want an Insta-worthy tree? – gift ideas, and of course, wonderful recipes to make your day taste as good as it looks, this really is the way to foolproof the festive season. 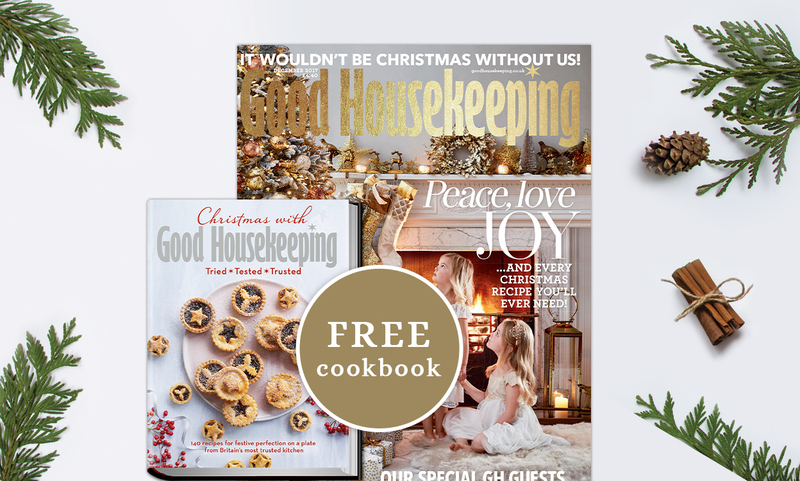 On top of that, subscribers will also receive the Christmas with Good Housekeeping Cookbook, which includes 140 recipes that have been tried and tested by the Good Housekeeping Institute, and is worth a whopping £18.99. So subscribe to Good Housekeeping today, after all, it wouldn’t be Christmas without it! It's Almost Time to Deck The Halls!